SANTA CLARA, Calif. & REDWOOD CITY, Calif.--(BUSINESS WIRE)--ServiceNow® (NYSE:NOW) and Box, Inc. (NYSE:BOX), two industry-leading cloud services companies that drive digital transformation for enterprises across industries, announced they are integrating their platforms to provide customers with an enhanced collaboration and content management experience for their most important business processes. The two companies are boosting productivity for workers, making it easier to securely collaborate on their most important content and make work, work better for people. The new capabilities give employees direct access to important documents and folders stored and managed in Box’s cloud content management platform, directly from the Now Platform®, which helps companies deliver great employee experiences through the easy management of business processes across the enterprise, including IT, HR, customer service and security. Increase productivity – Workers will have faster, more flexible access to Box content from within the Now Platform by leveraging common Box actions like the ability to provision users, search for files, create groups, share content and create collaboration folders to associate with cases being worked on. In addition, users can now preview their files – including PDFs, images and text files – without ever having to leave the Now Platform. Customize at scale – Companies can easily and quickly build their own workflows to meet their business needs and customize the Box integration with ServiceNow Flow Designer and ServiceNow IntegrationHub. The integration is scheduled to be available on the ServiceNow Store this year. Automatically link specific Box folders to ServiceNow records, providing IT service representatives with quick and easy access to the content they need when and where they need it, streamlining popular workflows within ServiceNow. Join us at BoxWorks 2018, Box’s annual user conference happening August 29-30th at Moscone Center in San Francisco where CJ Desai, ServiceNow chief product officer, will be joining Jeetu Patel, Box chief product officer during the main stage keynote on August 29 to discuss the new integration as well as what you can expect from the two companies going forward. To hear more about how ServiceNow and Box are working together to power digital business processes in the enterprise, register here: https://www.box.com/boxworks/. 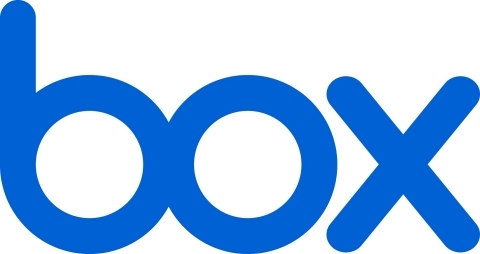 Box (NYSE:BOX) is the cloud content management company that empowers enterprises to revolutionize how they work by securely connecting their people, information and applications. Founded in 2005, Box powers more than 85,000 businesses globally and 69 percent of the Fortune 500, including AstraZeneca, General Electric, P&G, and The GAP. Box is headquartered in Redwood City, CA, with offices across the United States, Europe and Asia. To learn more about Box, visit http://www.box.com/.